Miss Exceptional Program in the News! She started a pageant for girls with disabilities. Now this former Puyallup student is watching it grow. "We've grown so big we have to have a new venue," says Miss Exceptional founder Samantha Schubert started Miss Exceptional, a pageant for girls with disabilities, three years ago. She wants it to spread to other states. Puyallup Teen Starts Pageant for Girls with Disabilities. When 18-year-old Samantha Schubert was 6 years old, her family’s world changed. Samantha Schubert, Miss Exceptional founder, “I realized there were no pageants for people with disabilities,” she said. 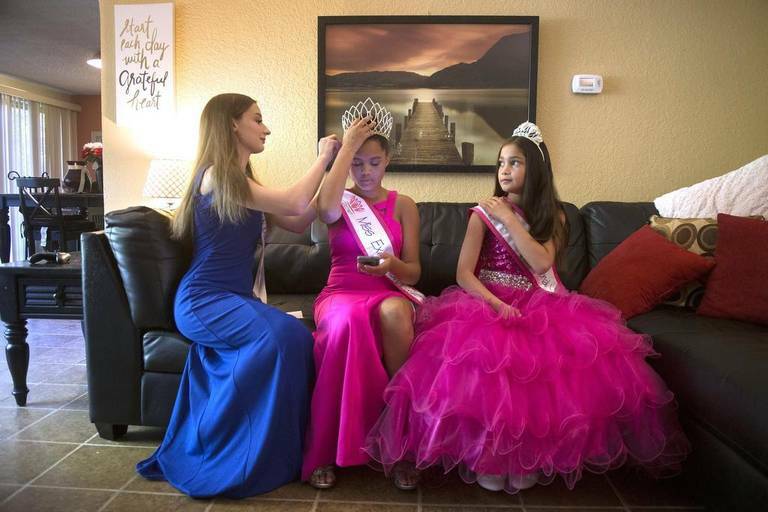 ​The pageant has grown since its first year, when 15-year-old Sofia Martinez, who was diagnosed with Batten’s Disease, was crowned the single winner. ​Samantha, who has raised $17,000 for local charities and has 4,000 community service hours under her belt, is still working to serve her local community. She currently holds the title of Miss Puyallup Teen USA, and is competing for Miss Washington Teen USA next month. She teaches music at her family’s preschool on South Hill and volunteers for Magic in the Pacific Northwest, even as she attends college online at Eastern Washington University. Burglary on 8/28/16 - A HUGE thank you goes out to everyone in the community that saw the update we posted on our Facebook page yesterday and then shared the information with their friends and the media. We were able to talk with people at KIRO, KCPQ, KOMO, and KING, as well as The News Tribune. The burglars took a lot from us, but who they hurt the most is the local special needs community and the hundreds of families we serve. Our ability to effectively and efficiently reach those families through our support, education and advocacy efforts is now hindered due to this criminal act. Everything stolen from us was either something donated to the nonprofit, a personal belonging of our volunteers, or was acquired via grant funding. It's sickening to think about. Some of the things they took or destroyed felt very personal, and we will never understand the motivation for such a senseless act against the special needs community. We are a grassroots nonprofit, comprised almost entirely of dedicated volunteers. We do this work because of how special needs have impacted our lives. This was an attack against families who are struggling day to day to do the best for their children with special needs. Please help us find out who did this, and call Lakewood PD if you have any information.